FACES ADR is celebrating our first anniversary! 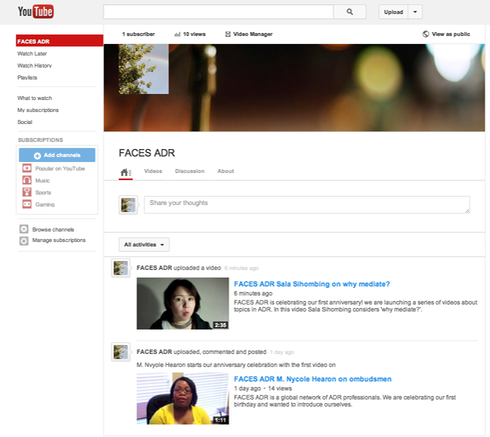 We are launching a series of videos on our FACES ADR Youtube Channel to introduce ourselves. Please check out our videos and start meeting the FACES!